Place all the ingredients EXCEPT the chocolate chips in your food processor and blend until smooth and creamy. Pour the batter into a bowl with the chocolate chips. Manually stir to mix all ingredients together. Line a square baking dish with a silicone baking mat and spray the inside sides with cooking spray. Evenly spread your batter into the pan, then bake for 25–30 minutes, until it feels firm to the touch and a toothpick comes out clean. Remove, let cool, cut and enjoy! Store leftovers on the counter or fridge. They freeze well, making for a quick easy snack. What I recommend is that you cook in large batches and freeze. 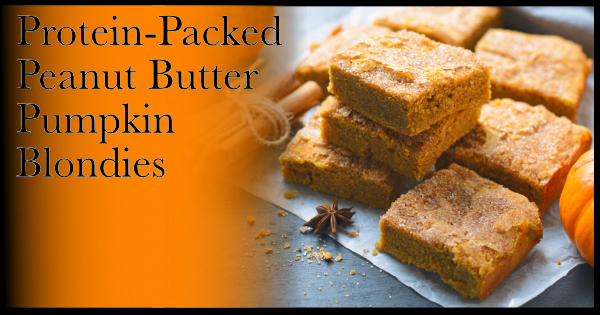 Vacuum seal blondies to ensure freshness, prevent freezer burn and extend time you can store in the freezer.